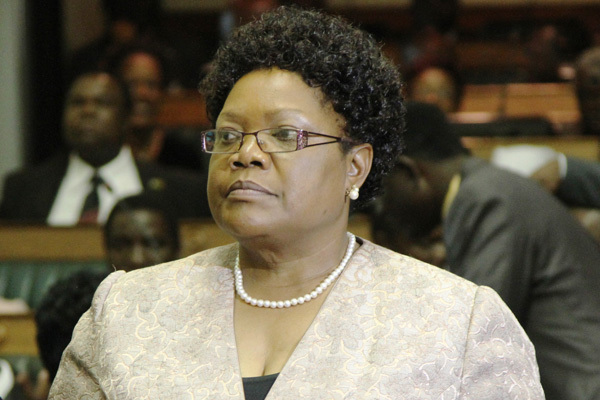 ZIMBABWE – Zimbabwe First is arguing that Mrs. Mujuru’s party will confuse the electorate on ballot papers resulting in them voting for the other party. Zimbabwe First is an opposition party led by Maxwell Shumba, who is based in the United States. Zimbabwe First communications director, Tawanda Svoswe, said their lawyers have started the process to ask the court to stop the Mrs. Mujuru’s outfit from using the name People First. Shumba’s party uses as one of its slogans Zimbabwe People First. Svoswe said when it was first announced Mujuru’s party was going to be called Zanu People First but the name Zanu was later dropped. “Personally, I think that name would have suited her well because she is Zanu first. It has always been her first or her party first oir Zanu first, that would have made more sense. So ideologically she doesnt qualify to use that name,” said Svoswe. Studio 7 also reached spokesman, Rugare Gumbo of the Zimbabwe People First, who said Shumba and his outfit are wasting their time because the name they have registered is Zimbabwe First and not Zimbabwe People First. “We are surprised about because we have used that name since we moved away from Zanu PF. We registered the party and our lawyer went to ZEC (Zimbabwe Electoral Commission) to establish wethere theres any other political party with that name and ZEC said no,” said Gumbo. He said in Zimbabwe there’s always confused minds that will do anything to tarnish the iamge of someone who will use any gimmick to achieve that. He said they were ready to go anywhere to guard that name. “As far as we are concerned our name is not People First it is Zimbabwe People First. There’s no confusion there, our people are very clear and we challenge anybody to come on the ground and compete with us,” he said.